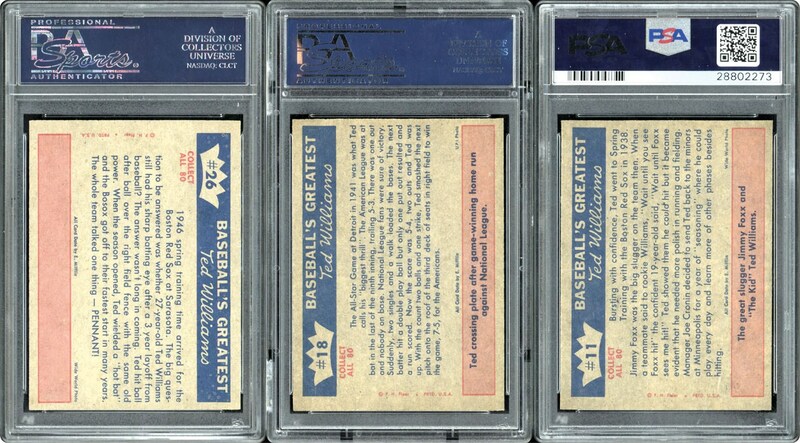 PSA HIGH GRADE SET!!! 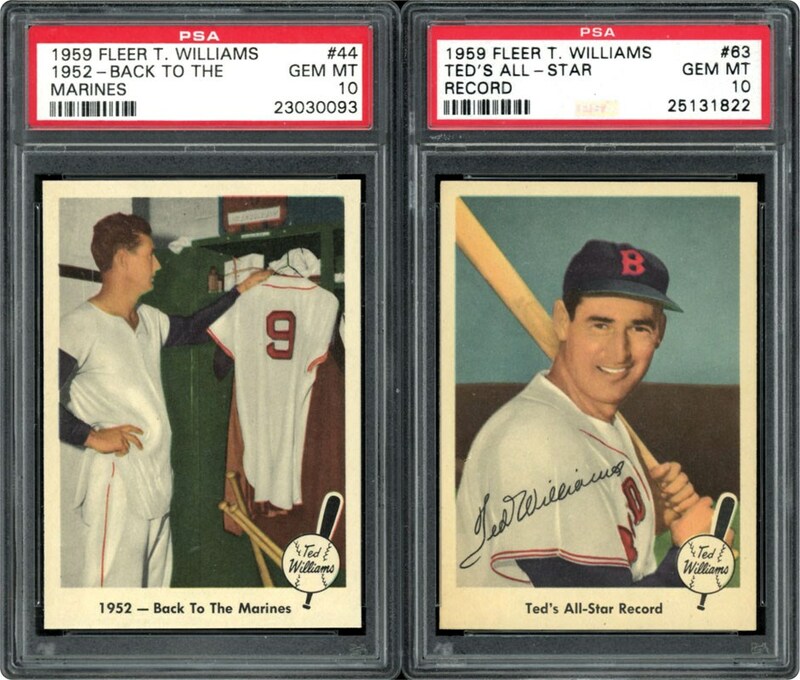 Ted Williams is the only Baseball Player to have a Complete set Made just for him. 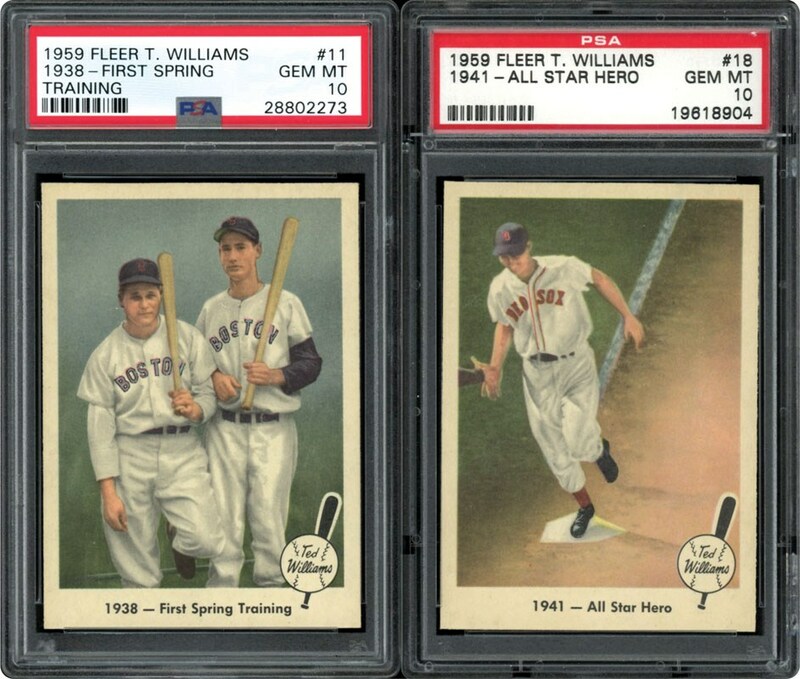 This set, issued in 1959, by the Fleer Company has 80 cards in it and commemorates Ted's entire career. 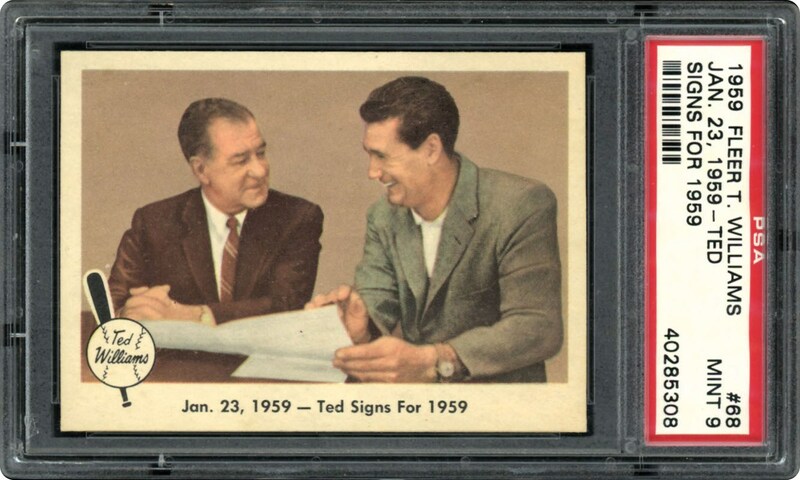 One card, #68 Ted Signs for 1959, is considered by all collectors as the one to own as it was short printed due to being taken off the production line shortly after the set was being produced. 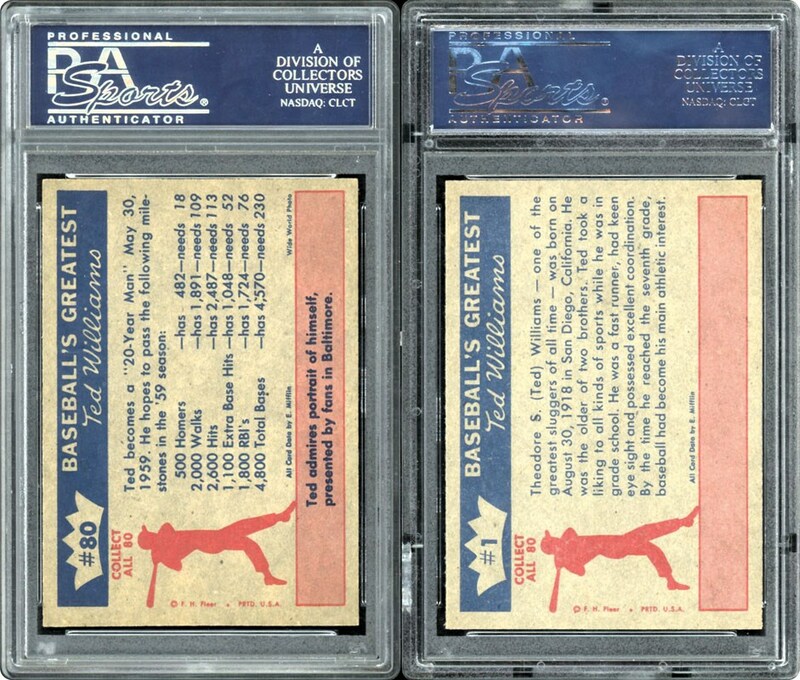 This set comes to you Complete with all cards grading out PSA MINT 9 with 5 PSA 10's creating an overall GPA of 9.08 and being the #4 Current Registered Set on the PSA Registry. 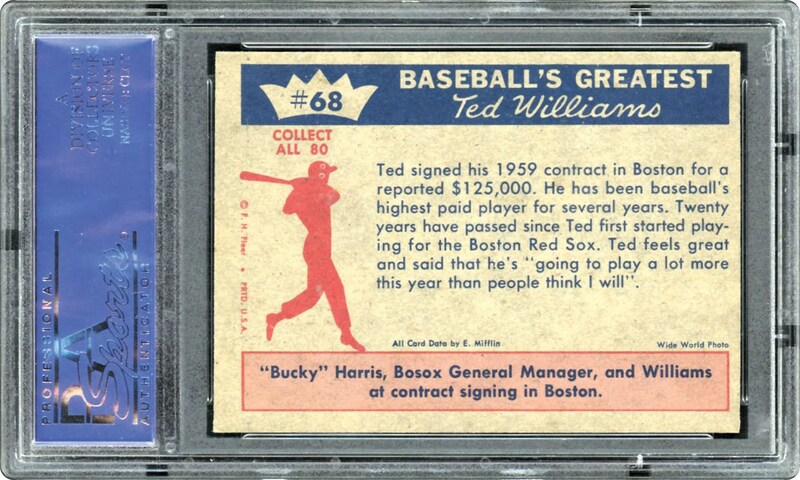 The following 5 cards are all PSA 10 GEM MINT: #11, #18, #26, #44 & #63. with the balance all PSA 9 MINT examples including the impossible #68 "Ted Signs for 1959". 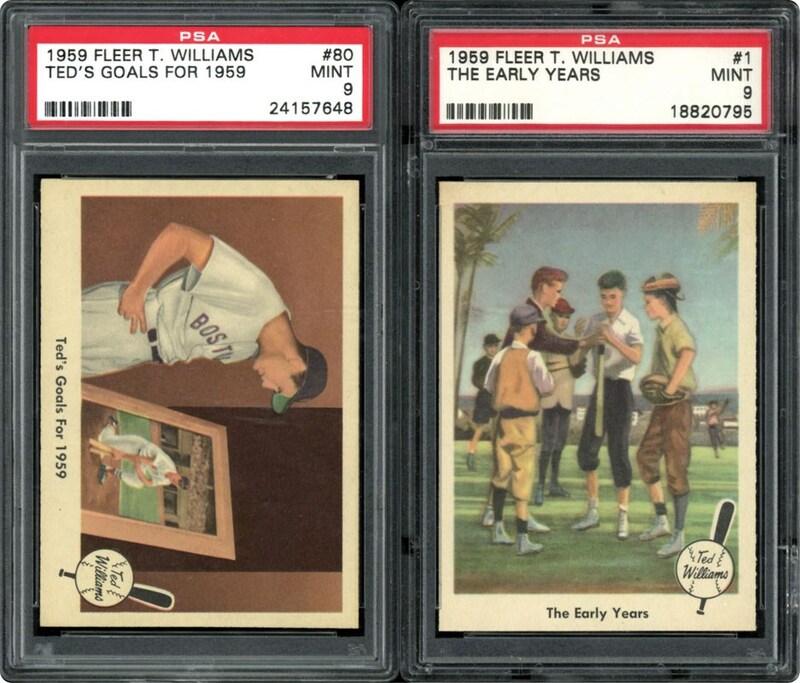 Many low pops in this Complete PSA Graded set. 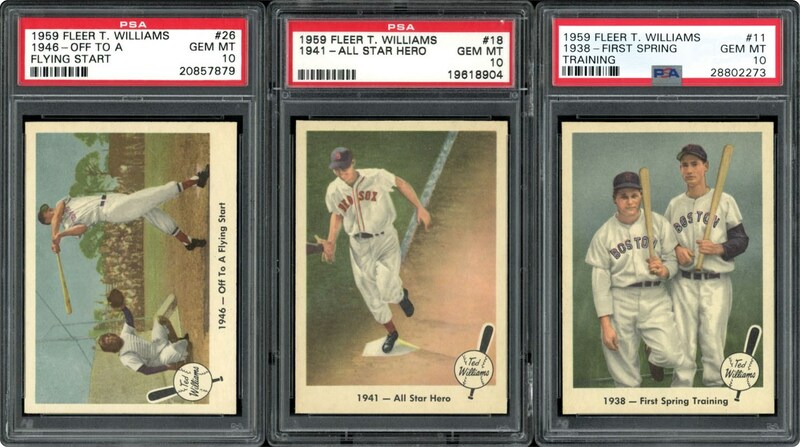 One of the hobbies most prized sets, this ones worth fighting for. SMR Value over $15,000. 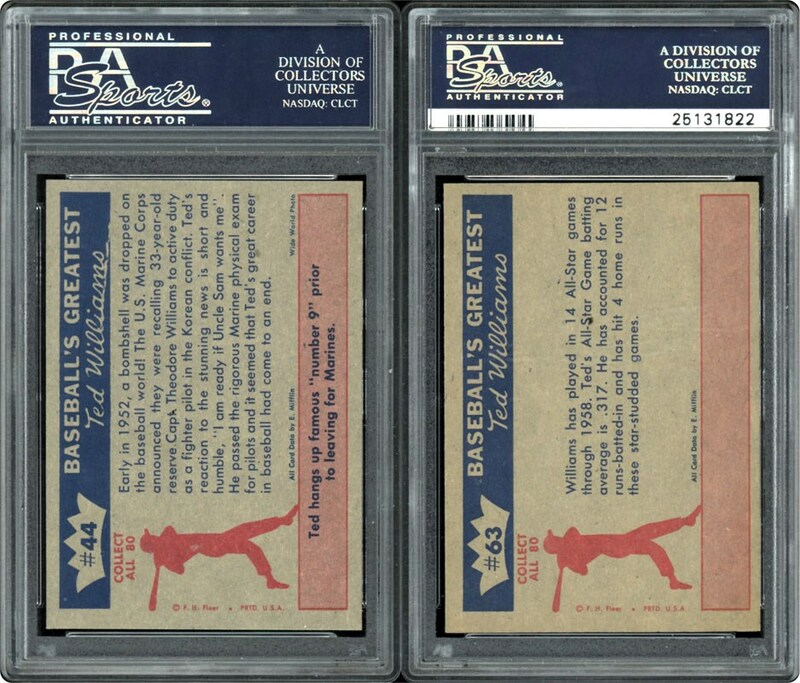 Make your best effort on this Complete High Grade Set!! !